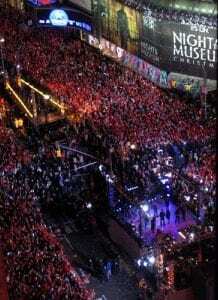 New Years Eve Parties in New York City are world famous. Ring in the New Year at the Times Square ball drop, New Years Eve Cruises with skyline views, dozens of New Years Eve events, private dinners and salsa dancing…basically, a New Years Eve soirée for everyone. Most New Years Eve Parties in NYC do not open up until after October, but for the planners out there, here is list of what is available to book now and keep reading for more options, usually available in December. 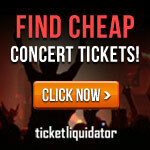 Add your event to the New Years Eve NYC Parties page. See More: Best New Years Eve NYC Hotels, each confirmed for 2017-2018 NYE. Or add any of these choices on to a New Years Eve Hotel Package and save. New Year’s Eve Cruises – Best Sellers! 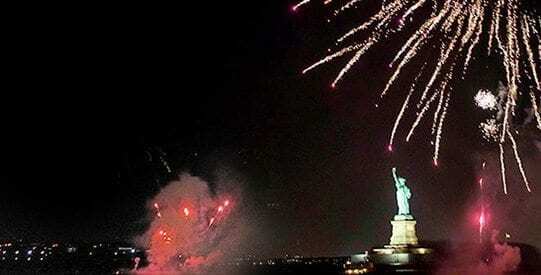 There are several New Year’s Eve cruises, with plenty to eat and drink, fireworks over the Statue of Liberty and a champagne toast at midnight. Sail by all the NYC iconic buildings, including the Empire State Building, Intrepid Sea Air & Space Museum, Battery Park, Ellis Island, One World Trade Center, the Brooklyn Bridge and the Chrysler Building. 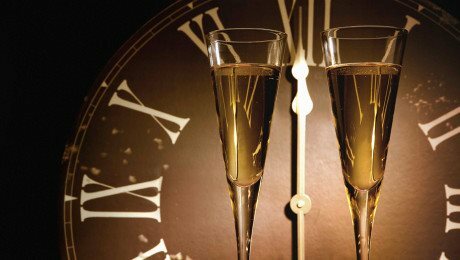 Classic Harbor cruises has a special New Year’s Eve treat just for YOU!!! Bring in 2018 with a short Champagne Tasting Class, followed by passed hors d’ oeuvres, a Live Jazz Trio and the New York Harbor Fireworks just off of the Statue of Liberty at midnight, all aboard an intimate and elegant 1920s style yacht. Ages 21+. 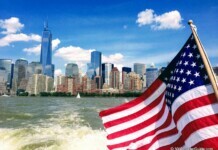 New Year’s Fireworks Cruise on Yacht Manhattan II (includes a short champagne/sparkling wine tasting class). New Year’s Eve Circle Line Cruise – Full open bar, selection of deliciously prepared hors d’oeuvres, on-board DJ, complimentary champagne toast at midnight. Ages 18+ (21+ to drink). 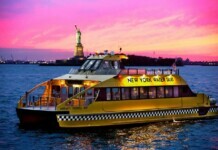 New Year’s Eve Dinner Cruise – Sail the New York Harbor on a Yacht, featuring views of the famous New Year’s fireworks over the Statue of Liberty, 4-course dinner, midnight champagne toast and standard open bar. All Ages (21+ to drink). Join the Convene Center, 23 stories above the million or so partiers on 7th Avenue and Broadway, a 3-course seated dinner, premium open bar and DJ music for dancing. 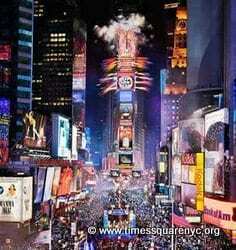 Check out another great New Years Eve Times Square Vacation Package customized by local NYC vacation experts. The package includes Times Square hotel, Optional VIP Celebration at Applebee’s on 42nd Street – with a view of the LIVE BALL DROP, Empire State Building and Top of the Rock (or many other choices) and much more. 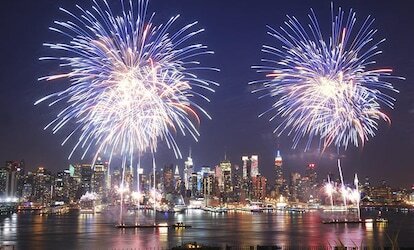 Groupon New Year’s Eve has some great NYC deals! 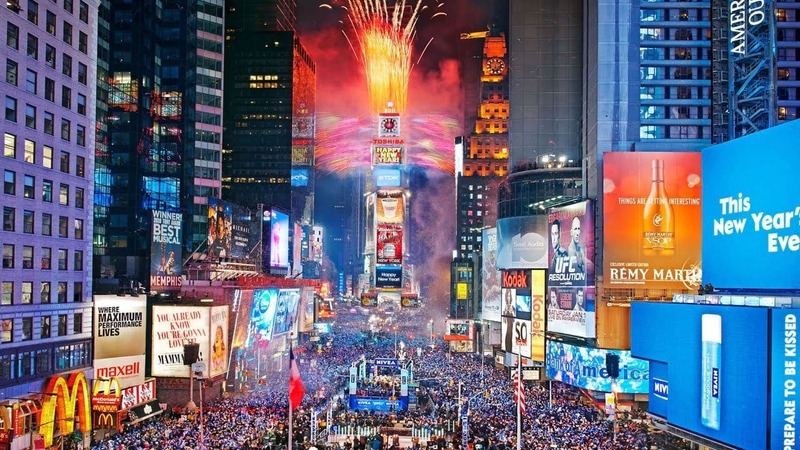 For New Years Eve, they have exclusive discount tickets to Times Square venues, Please Don’t Tell, Hotel Chantelle, Mondrian SoHo, the Dream Hotel, Yacht Cruises, Birreria and lots more! Definitely take a look at their offers and you’ll be amazed at how affordable Manhattan can be, without comprising quality! Hundreds of NYC restaurants will post their New Years Eve Party and Dinner in New York City menus and begin accepting online reservations at OpenTable in November, sometimes earlier. With menus ranging from traditional to innovative, you’re sure to find a restaurant that suits everyone’s taste. If not the private party, then expect freezing temperatures outside for 7 or more hours, elbow to elbow with over 700,000 people, no bathrooms, backpacks or beverages. 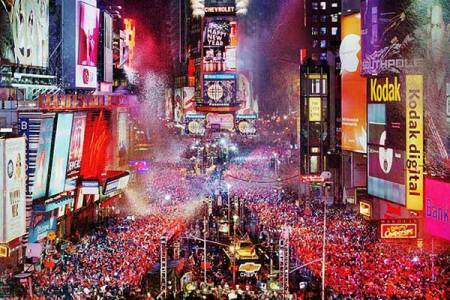 Once the ball drops, it will be an hour before you can even leave Times Square. I did this when I was 16 years old, and it’s nice to be able to say you did it once, but you couldn’t pay me to do it again. Feeling Brave? 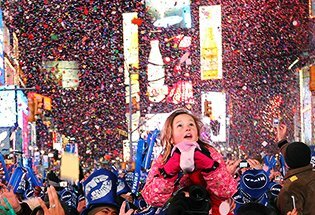 timessquarenyc.org and newyearseve.nyc have the info you need and balldrop.com has tons of parties and tickets listed! New Years Eve Spanish Style at Las Ramblas! 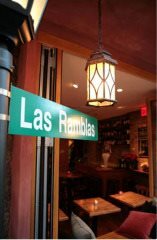 Celebrate New Years Eve at Las Ramblas – one of my favorite, tiny, but delicious, tapas restaurants in West Village. Las Ramblas hosts a spectacular night of fine tapas, wine, & celebration. Cava, traditional grapes, & party favors in abundance at 6pm (Spanish New Year) & 12 midnight. Hurry – Las Ramblas seats 28 people, but it is outstanding and a neighborhood gem. Not sure about the NYE menu, but generally, it is one of the best values in NYC. I bet their New Years Eve parties are great! 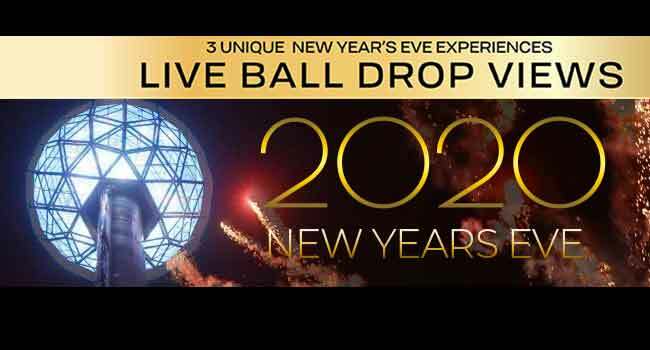 Looking for fun things to do on New Years Eve with your Under 21 year old dates? 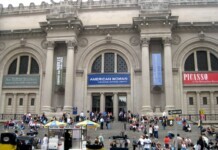 No problem, there are tons of fun and family-friendly ways to spend your NYE in NYC.